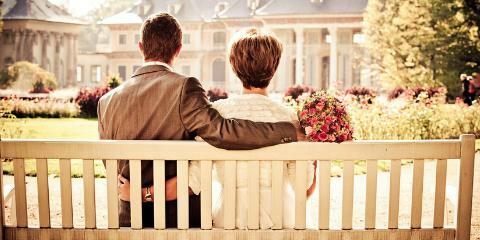 Too many couples “go through the motions,” allowing anxiety and ill will to sully the relationship. Because of pride, indifference, and poor communication skills, we often do not take the time to tend to relationships in a manner that brings long-term health and vitality to our relationships. Over time, the “deferred maintenance” in our relationships deepens the problems in the partnership, and widens the conversation gap. If only we had taken the time to work on the union before everything began running amiss. In this piece, we explore couple’s therapy. Specifically, we look at some reasons couples should “double down” on therapy long before they start to experience marital/relational stresses. The idea is simple… the conversation should begin long before the trouble escalates to a place of no return. Find a good therapist and begin today. Even if you do not have prior experience with counselors, encourage yourself to give therapy a chance. Therapy can be a win-win for you and your partner. Talk to couple friends about therapists that have worked for them. Referrals from trusted friends is the best way to become familiar with a therapist that may work for you and your beloved one. We all tend to arrive at relationships with certain communication styles in place. While there is nothing wrong with this reality, we all need to reach a place where we can communicate effectively with our partners. Obviously, the core of effective communication resides in developing effective “I feel language.” When we use “I feel” language, we are taking ownership for our feelings/actions/attitudes instead of projecting them onto others. The antithesis of “I feel language,” is “you” language which places our issues onto a another. A good therapeutic relationship can bring much needed insight into a relationship. Having the perspective of a third party can help a couple work through some of the deep seeded issues that remain a burden on the partnership. Credentialed counselors are trained to refrain from taking sides in a conflict. A credentialed counselor also knows how to validate all points of view so that all participants feel heard and appreciated. A couple has an opportunity to “cool off” when effective therapy is already in place. Essentially, a strong counseling connection gives a couple tools that will help them deescalate hostilities when they arise. Effective tools include meditation, journaling, and targeted exercise. With the “heat” of relational duress effectively managed, couples have an opportunity to focus on the issues that truly matter. In a therapeutic setting, partners have an opportunity to roleplay through some of the most trying situations and conversations that beleaguer them. Roleplaying with a therapist allows the therapist to equip the partners with “best practices” for conflict mitigation and visioning. The therapist, knowing the approaches that work with a variety of couples can help the couple put healthy practices in place. Also, the therapist can help the couple “replay” recent conversations and conflicts to see which practices were effective and which practices were not. Believe it or not, effective therapy can help a couple imagine a new future for the relationship. While it’s hard to imagine a bright future when the couple is amid a significant conflict, therapists certainly want their clients to succeed and thrive beyond the impasse. Inasmuch, therapists began to help clients recast their vision for the future. This process may entail journaling, brainstorming, and relying on the experience of other couples. For healthy couples engaged in therapy, visioning can help keep the union fresh and forward looking. In some therapeutic settings, Spiritual Direction may be offered to partners. Spiritual direction runs the gambit of faith traditions, and helps the couple connect to a “higher power” as they work through past difficulties and work toward a brighter future. Spiritual Direction may include prayer, study of sacred texts, worship, and meditation. Additionally, therapists may give their clients action items to revisit in the home setting. Spiritual direction may also take the direction of a referral to a priest, rabbi, imam or the like. Other than money, children are one of the biggest stressors for partners. Children, while bringing lots of joy into a relationship, can bring a lot of anxiety and pain. From postpartum depression to an adolescent’s entanglements with drugs and alcohol, a therapist can help a couple work through some of the issues that child-related issues bring into relationships. Therapists can help partners “find the same page” on discipline, technology, and spirituality. With a good plan in place for a couple’s children, the couple could flourish in their own relationship. Therapy is a scary prospect for many individuals. Unfortunately, there’s a stigma associated with connecting with a therapist. For many Americans – especially men – an engagement with a counselor comes to represent weakness, defeat, and an inability to effectively manage relational stressors. When individuals and couples can look beyond misappropriated stigmas, therapy can be utilized to bring renewed hope to couples in trouble. That said, it’s also important to recognize that therapeutic relationships that predate marital hardships provide best outcomes for couples. With visioning, spiritual direction, roleplaying, and other wonderful tools in place, a couple may be able to build a terrifically strong relationship. Imagine having tools in place that help the help the couple confront issues in their earliest stages? Would that work for you and your loved one? Absolutely.